Article 11, 12 and 13 (or 15, 16 and 17 respectively) of the European Copyright Directive got accepted, we will be forced to geoblock Europe once the Forum is 3 years old (4th of August 2021) so get a free VPN somewhere! Our Forums still have until August 2021 before we have to make “best efforts” to geoblock Europe from making Posts on here. And a copy of it that I uploaded myself just in case. Geehz well that’s what full control are for right? I going to do have to the same for my Minecraft instance and website(s). Just to error on the side of caution. At least there a few years for POSSIBLE changes that may at least lighten the impact that may soften the requirements of keeping Europe in the loop or other ways that it would be more viable to do so. If i would lead Youtube, i would make a Guide how to use VPN and would place the servers out of EU. Yeah that aint gonna happen, Youtube just makes Content ID more strict, disable Livestreaming for European Users and then is perfectly fine with the Law. Yea more than likely they going to pull WAY more videos to “error on the side of caution” as they aren’t just going to “ban” Europe right? Just as there was some emerging hope of a second referendum reversing all this Brexit stupidity, the EU goes and shits the bed. This is a giant middle finger to precisely the same demographic that is most pro-EU. I don’t see what hope there is now. Even if it’s somehow stopped down the line, I fear it will be too late to rescue public opinion here. Part of my Patreon Post that I didnt want to be deleted by accident, just in case. I’m just paranoid. 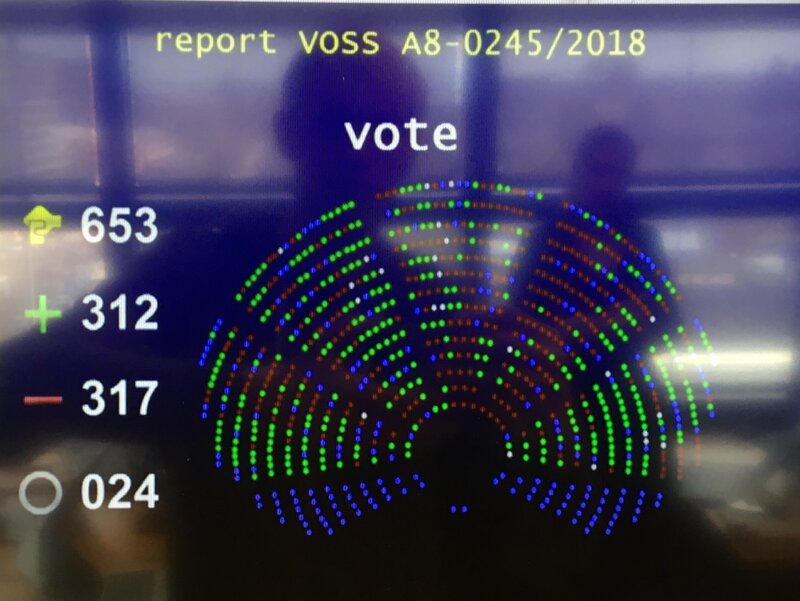 Sorry for lack of Patreon Post last week, I forgot about it and when I remembered it, I wanted to just wait for how the EU Parliament votes on the Copyright Directive in the hopes of getting good news… Well everyone by now knows how bad that turned out, because that whole thing got approved and now the EU Council is the only one to be able to stop it at April 9th. If everything goes South very badly, I will just go to Freenet or Tor hidden Services to host my Stuff, because this mandatory and impossible to implement Censorship goes way too far, and contradicts several other Laws such as the GDPR. This whole thing just illegalizes Free Speech and the ability to host any Website that even remotely allows you to have User Submitted Content such as Comments of any kind for an affordable and reasonable price, without having to rely on Internet Giants like Google (who ofcourse got rid of G+ right before this passed). And I have read that damn Directive personally to find loopholes, I know how bad it is, especially in conjunction with the GDPR which prevents me from just making a brand new Website every 3 years, because I would have to delete all user Data on the new and the old Site and start from scratch (yep I cant just archive the User Posts on the old Site, isn’t that great). In case you didn’t know why I added a “Spoken Languages” Field as opposed to a “Location” Field on the Forums, if you told me you’re from Europe I would have to ban you too. Also last time I checked Germany is part of Europe too, so I am banned aswell! Though because I am the Host I would probably have the privilege to access the Site anyways. If you are in Europe, go voting in May, preferably for a Party that actually keeps up Human Rights, as opposed to the Conservatives. Just get involved with Politics and try to make the EU Parliament less corrupt and better for everyone. I know I for sure will. Thank you for your Support and for listening to this huge rant. If Scotland can participate in the EU elections, vote for the SNP, the Greens, UKIP or even the Pirates if they stand as a candidate party in the EU elections. These parties objected to the Copyright Directive and are the right folk for upholding freedom of expression as per Article 19 of the Universal Declaration of Human Rights. 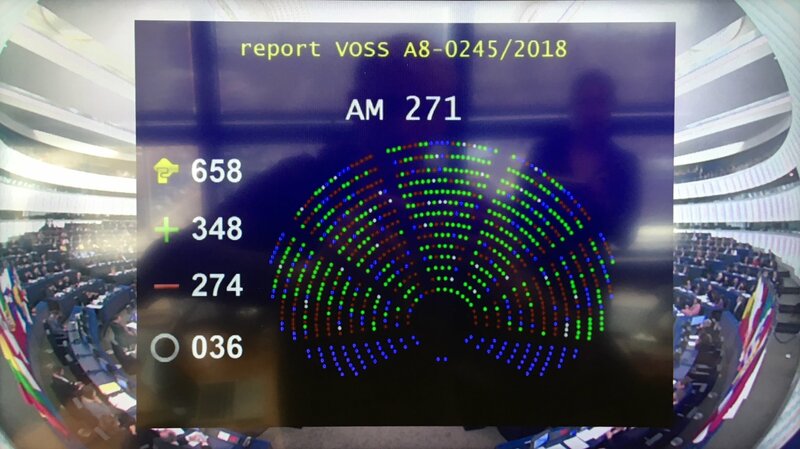 The EUCD is also a violation of the EU Fundamental Rights Charter, which is a good cause for court cases against Axel Voss, his gang and the Copyright Directive. UK citizens, don’t forget to unseat the Tories (Conservatives) and other parties that supported their efforts in the final parliamentary vote in the elections! For any other EU citizen living outside Britain, let’s unite to decimate the corruption via protests, petitions and the coming elections! Don’t forget to donate to digital rights organizations for their efforts against the Directive, including court cases against the EUCD. For the Germans, don’t forget to unseat the CDU and SPD parties and replace their positions with MEP candidates from rights-upholding parties and blocs. Can’t wait to see the EPP, ALDE, ECR and S&D blocs collapsing as a result of the karma delivered by the elections in May, mainly the pro-EUCD portions! Regarding the importance of donating to certain organizations, don’t forget to donate to epicenter.works by entering “spenden dot epicenter dot works”. This donor money is poured into court cases against the Directive, including ones that strike the nonsense on it’s Achilles’ heel. Does that mean that Europeans require plane or ship tickets just to visit your site, especially the forums? But some could have a realistic chance, such as making the Forums private and only accessible within Europe via the Launcher of the Game (which can be downloaded from the Main Site ofcourse), similar to how you can Browse Steam from within the Steam Client. Another way might be recommending people to use that new Cloudflare VPN project they are working on, considering it’s “freemium”. Though I would always put a large List of VPNs there and not just one. Well, the Council approved the Directive, ofcourse with Support from Germany despite literally everyone trying to prevent the Conservatives from doing it. If you are in Europe and are allowed to, GO VOTE IN MAY! for everyone’s Freedom! Also turns out the Forums went public early August 2018. I originally went with the Date of the first Post instead of the Date I actually made everything public, so we got one additional Month, as in until August 4th/5th 2021. So get a VPN in the next 2 years, everybody, Cloudflare is probably releasing their Free VPN sometime soon, so no excuses.